So I had a bright idea. It really illuminated my way of thinking, and and helped to bring me out of the dark. After all, it is better to light a candle than to curse the darkness. Today, dear friends, we honor… the light bulb! On this day in 1879, our beloved Mr. Thomas A. Edison accomplished a miracle that I use every night to read by. In seriousness, Mr. Edison gave us many gifts, and many insights (come back for tomorrow’s quote of the for an example.). Today, I honor the man who lets me read myself to sleep at night. Mr Edison, I thank you for your contribution to worldwide advancements, and for all of the inventions that came after based on your simple idea. Today is not the day I normally post pictures, but I was looking for a new header image when I happened upon this shot. Since I neglected to post yesterday (I’ve got an idea for a fun post but haven’t had the time to put it down on paper yet), I thought I would quickly post this for your enjoyment. 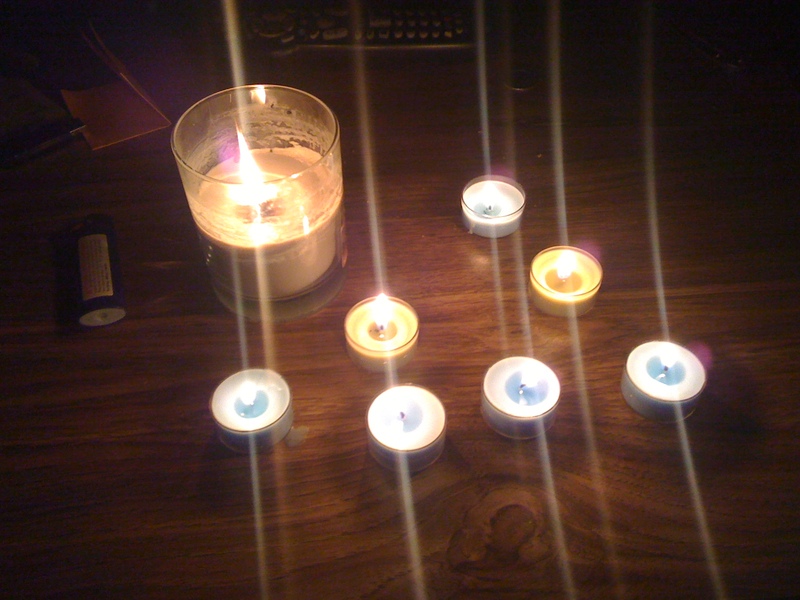 The power had gone out and so I resorted to candlelight for the night! How old-fashioned of me. Anyway, I love the way the light plays on this shot, and while I staged the layout, I didn’t expect it to come out this well. Enjoy.